Experience the bliss of sheer luxury in these beautifully crafted villas with comfortable rooms, huge bathrooms and well equipped kitchens. The beautiful private pool with lounge and pool chairs create a perfect setting for enjoying the sunset. The massage services and breakfast delivered to your room will definitely make your day. 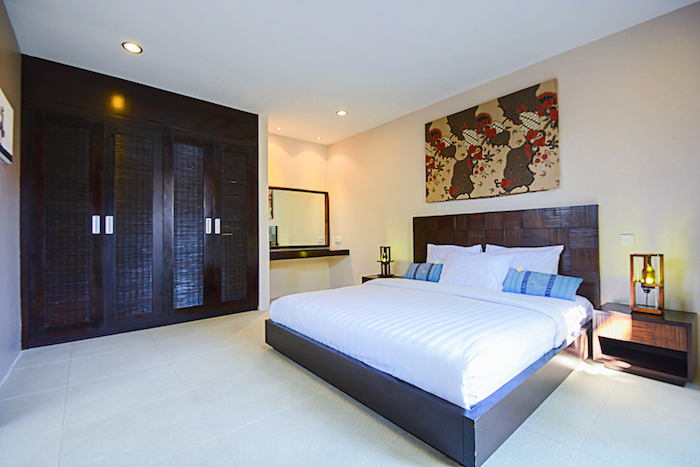 Samana Villas Legian is a 3-star hotel situated at a walking distance from the wonderful breezy beaches in the area. 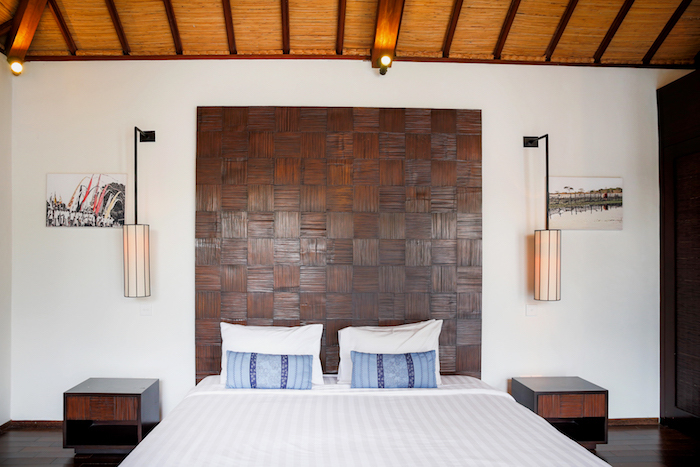 It has been designed with luxury in mind to ensure a memorable stay to its guests. With facilities such as the private pool and wide open living area, the hotel makes itself count among the best and popular hotels in the island of Bali in Indonesia. 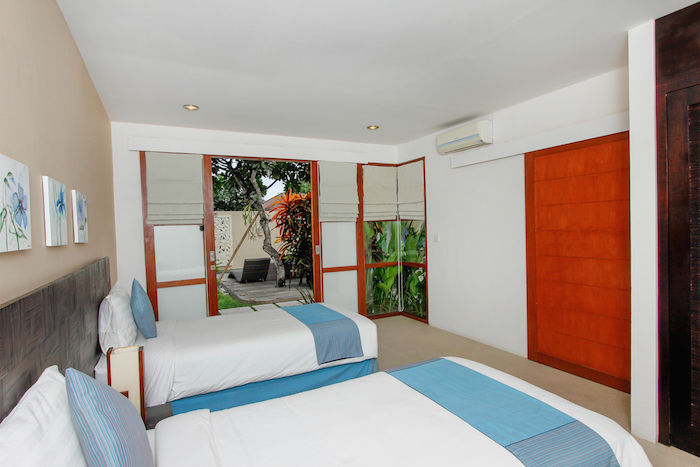 Located close to the international airport, Samana Villas Legian can easily be reached. With a flawless fusion of friendly and experienced staff, as well as a complete set of modern facilities that defines luxury, Samana Villas Legian helps its guests enjoy their Bali vacation in style and comfort. 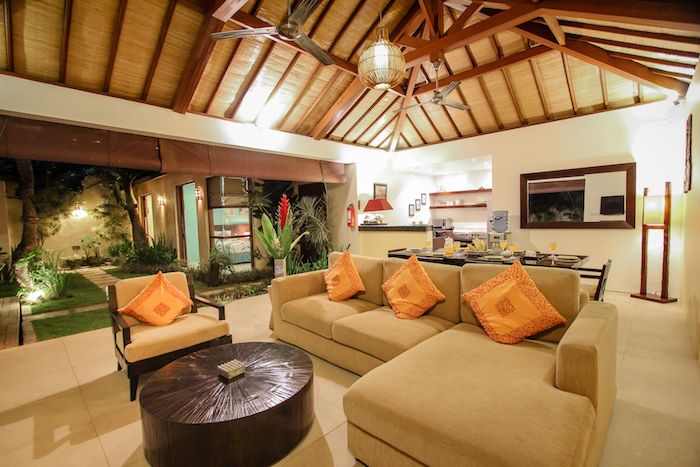 Certainly, the 3-star property allows its guests to build lifetime memories. 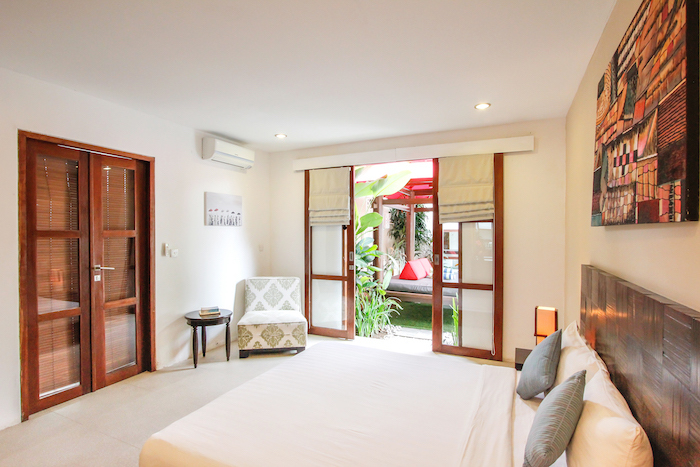 The hotel maintains well-decorated and spacious rooms in various categories like Three-Bedroom Villa with Private Pool, Two-Bedroom Villa with Private Pool and One-Bedroom Villa with Private Pool. 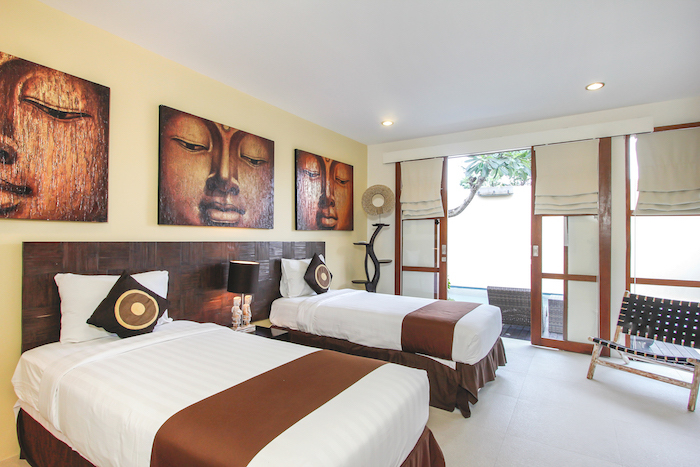 Each room is equipped with an air conditioning unit, ceiling fan, coffee/tea maker, safe, cable TV and DVD player. A kitchen fitted with a microwave and other cookware, stovetop, dishware and utensils, is also there beside every room. Visitors can ask for rollaway extra beds too. Moreover, daily housekeeping is provided to the guests. 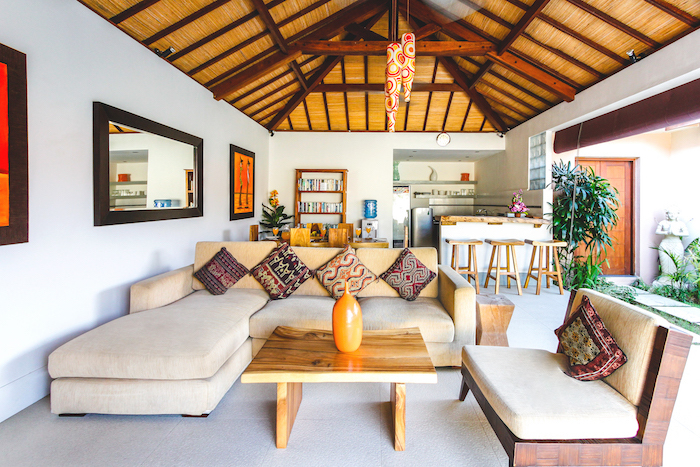 Samana Villas Legian also maintains a private pool, separate dining area, living room and sitting area along with furnished patio for the convenience of its guests. Free Wi-Fi can be accessed in the entire hotel premises. 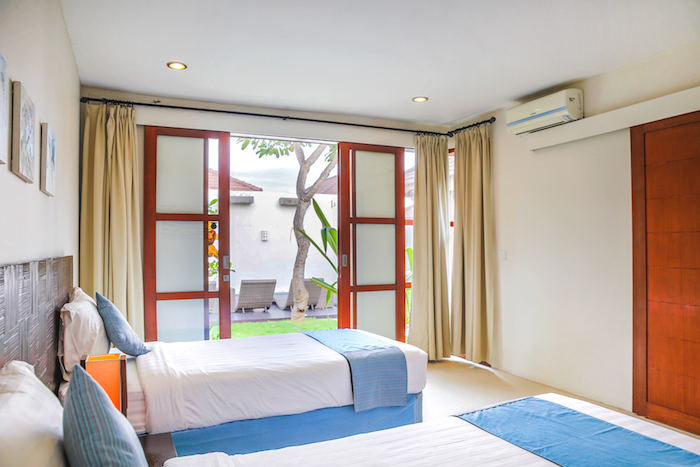 For the convenience of the guests, Samana Villas Legian offers an outdoor pool, open living area and massage centre. The rooms at the hotel feature air conditioning units, in room safe, complimentary drinking water and kitchenettes with refrigerators. The hotel offers grocery delivery, daily cleaning and laundry services to its guests. Additionally, the hotel provides shuttle services. Internet access is available across the property that too free of cost. Moreover, the hotel maintains a sun terrace and beautiful garden. Free parking is allowed within the hotel premises. Notably, pets are not allowed inside the hotel premises. The hotel features in-villa dining options for the convenience of its guests. Each and every villa has access to in-room service menu which consists of some of the delicious international and local dishes. Also, the hotel offers personalised services that include asking for a chef to cook exclusively as per ones tastes. 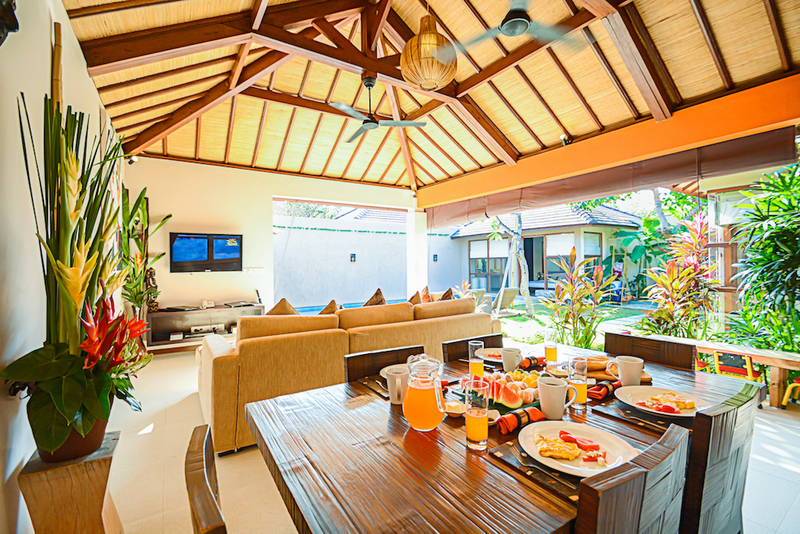 Whether it is breakfast in bed, lunch by the pool or a sit-down table meal, Samana Villas Legian makes sure that its guests have a wonderful experience while they try some of Bali's local dishes. Moreover, the guests can go out and try some other mouth-watering food items at different restaurants situated nearby the hotel. Surrender to the serenity of this beautiful place and enjoy a kings life for a while. Get mesmerised with the tastefully designed hotel and its world-class amenities and services. Capture the mesmerizing view of the beach from the hotels terrace and spend some quality time away from the hustle and bustle of city life. 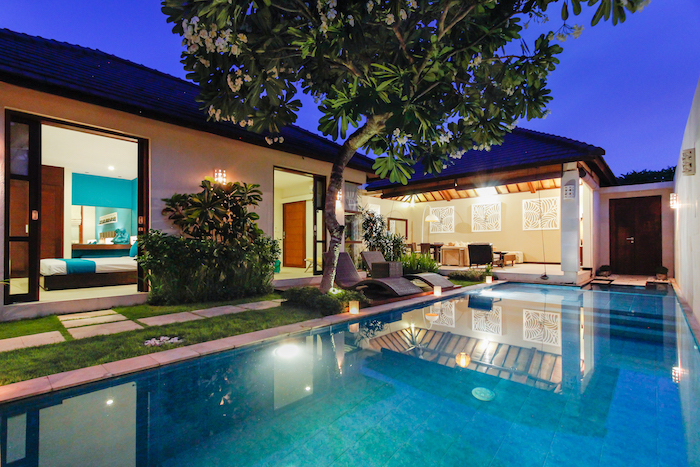 Samana Villas Legian is located at a distance of around 8.5 km from Ngurah Rai International Airport. What are the things in which one can indulge in during the stay at the hotel? 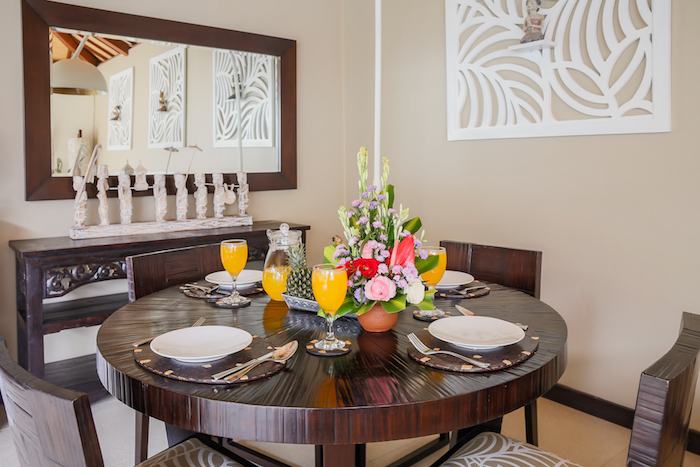 Guests can enjoy a personalised meal inside their villa. Moreover, they can use the shuttle service provided by the hotel to explore the nearby attractions. Does the hotel provide free parking facility? Yes, the hotel offers free parking facility to the visitors. Does the hotel have a place to sit back and relax? Yes, the hotel maintains a sun terrace and garden for the guests to relax. 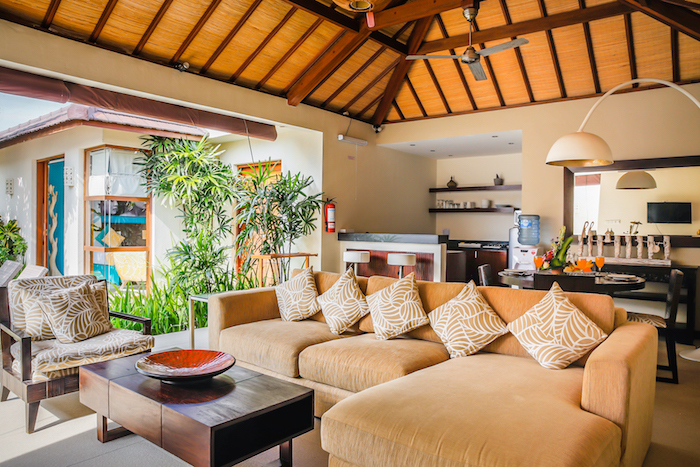 Holiday with the loved ones and get a host of experiences with Samana Villas Legian. 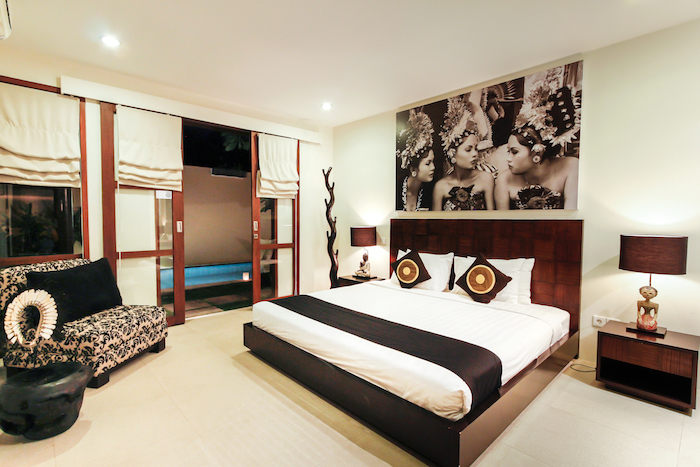 With modern amenities and world-class services, the hotel proves itself to be one of the popular properties in Bali. Stunning beach view, outdoor pool, and spacious rooms are what add to the charm of this hotel. Moreover, it takes care of its guests connectivity to the rest of the world by offering free Wi-Fi access. The hotel offers a safety deposit box and 24-hour security. 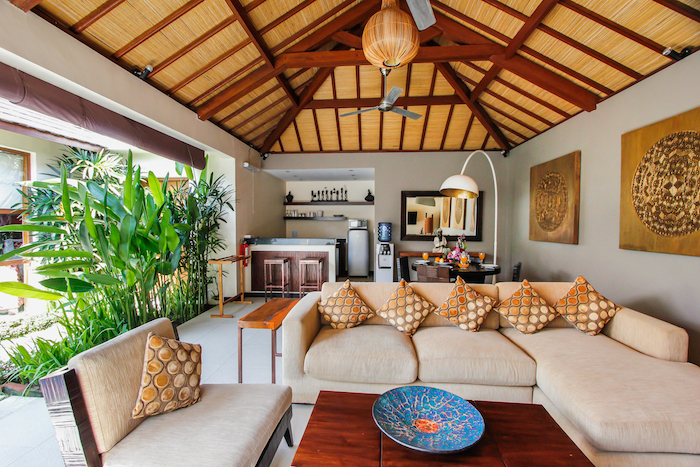 Besides, Samana Villas Legian is located near some of the major attractions in the area like Double Six Beach, Legian Art Market, Beachwalk Shopping Mall, Sky Garden, Bounty Night Club, and Bali Mall Galleria. Live amidst the beautiful lush green surroundings and enjoy a lifetime experience at the luxury villas maintained by Samana Villas Legian. Remember, there is nothing that can guarantee unforgettable moments more than the rustic Mother Nature and fascinating culture of the island of Bali in Indonesia.